On November 7th, we had our Sugar User Group Meeting with our customer Avi Bar, National Sales Manager for American Specialties, Inc. (ASI) to present how ASI has been able to drive user adoption and provide value to internal and external users of the CRM system. 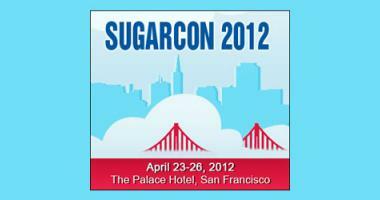 Still have more questions about Sugar or our customer success initiatives? Feel free to reach out to our team here, and we’ll be happy to answer! 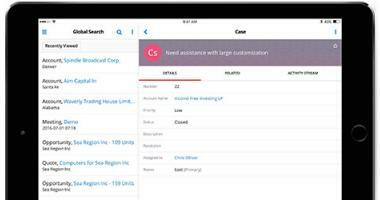 SugarCRM Mobile 6.0.0 adds the ability to convert leads directly from the mobile app, and fixes issues identified in previous versions. 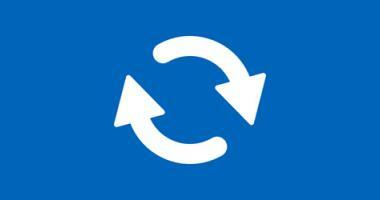 Version 6.0.0 includes improved build tools and API. SugarCRM Hint 2.0 includes a Company News section, a Hint dashboard in the Contacts and Leads record view and a more in-depth Company Profile. It also addresses issues identified in previous versions. SugarCRM has officially released MS Outlook Plug-in for Sugar 2.4.2, and includes fixes for issues identified in previous versions. Q: You mentioned you have independent reps, what do you do with manufacturers that have their own CRM systems? 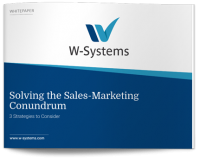 A: The biggest challenge is that we're I think one of the earlier CRM adopters in the architectural products manufacturing realm, so many of our reps who have multiple manufacturers have never interacted with CRM before. We're seeing more manufacturers adopting it, which will create a challenge with independent reps: if you’re an independent rep and represent multiple companies, and suddenly ten organizations have ten different CRM implementations. How can you manage ten different systems? I think this is a challenge that every independent rep is going to have to come across soon, in the next few years, that will become a reality that they will have to adapt to. For this reason, it was essential for us to be early adopters, because if independent reps get used to a system, better to be ours, so comparisons aren’t drawn. We want them to be early adopters so that they get used to our system because it’s going to be a reality in the future: everybody should or is using the CRM. Then the question faced with is: 'What will happen when they are faced with ten CRMs?’ It is going to be a challenge, and they would probably develop their CRMs to bridge to ours. But that's certainly going to be a challenge in the future. The benefit of being an early CRM adopter is you get to set the bar, so manufacturers that adopt it later will design their systems using yours as a comparison (but hopefully not copied to a T). However, adopting early doesn’t automatically make you a good example. For instance, a couple of manufacturers incorrectly implemented CRM, making it onerous on the reps, so that adoption anxiety came from bad implementations, where CRM felt like more of a burden on reps. I think we managed to dispel those presumptions, and hopefully, we’ve set the bar for other manufacturers as well. Q: What was one of the processes that ASI and W-Systems took together to future-proof the implementation? A: Spending a lot of time together and planning. 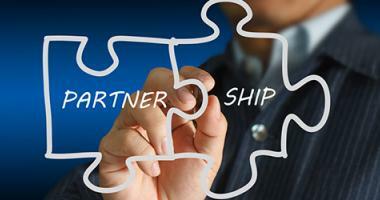 Our partnership is nearing two years, and there’s no end in sight. We’re already discussing future enhancements. Future-proofing takes multiple on-site meetings, discussing with the stakeholders, getting feedback, setting priorities, and then getting to implementation. At ASI, we have this continuous improvement mindset, including having a sales process that is scalable and repeatable, so we can outsell our competition: not just because we have a better product and a better service, but because we have a better sales methodology, so we consistently challenge ourselves to improve. At SugarCon, we saw an implementation where somebody had (Amazon) Alexa making outbound calls, and we started thinking: what if Alexa called my sales reps after a meeting, the salesperson dictates the outcome to Alexa, so they don’t even have to go into Sugar. It would just be a phone call, making it more comfortable for our reps.
We are not thinking about how we can use technology to replace ourselves, but how to use it to be more efficient. Q: Did you hire new, or train staff within ASI, as CRM managers/administrators? For webinar training sessions and one on ones, etc. A: The short answer is no. I (Avi Bar) came on board with some previous CRM experience, where we used different systems but not a de facto CRM. So, we were reticent to start hiring people, and used in-house resources. One of the controversial things that we did was that this wasn’t an IT project, but a sales team project. It was vital for us not to hand this over to the IT department because IT doesn't understand sales. They know technology very well, but they look at everything from a technology perspective. We naturally cooperate with the IT team to enable and support us, but sales led this project. We did ultimately hire a person with multiple roles within our company, but one of the responsibilities handed to her was to support the sales team in training, and she has been a very active part in being the CRM champion, but it is not her exclusive role. We didn't hire anybody specifically just for CRM implementation. But, it would have been a nice-to-have.